My Easter weekend was spent knee deep in spiders webs, dust and disintegrating black bin liners, up in two loft eaves, clearing away junk that we had acquired over many years. One word of advice - NEVER USE CHEAP BLACK BIN LINERS to store loft junk in! We discovered that we had unwittingly used several and they had simply disintegrated almost into powder...it was disgusting. The heavy duty bin liners had been fine though, so not all was a mess. My two sons were brilliant and got into the tiny spaces that I couldn't manage and lifted the really heavy stuff. Thankfully spiders don't bother me and just as well as there were all shapes and sizes up there! I could not believe how many "bits" of carpet we had saved over the years "just in case we might need it" . Of course we never did! We did away with all the old cheap bin liners which were in varying stages of deterioration and put as much as we could into brand new plastic boxes with lids. We decided to be brutal in what we got rid of and very quickly the skip was filled to the brim. Was fascinating what we came across though, completely forgotten toys from the boys childhood such as the early 1990s version of Tracy Island, Micro Machines, Action Force, Action Man, dozens of toy cars, soldiers, Airfix Kits, Subbuteo and so on... including the large scale fort I made in 1978 for my woodwork project whilst on my nursery nursing course. (It was those woodworking lessons where I discovered a real love of working with wood and tools). 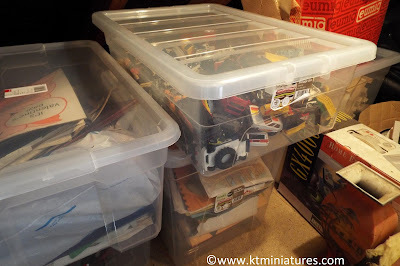 Needless to say all these treasures were taken out of the bags and transferred into large plastic boxes with lids where possible, then put back in the loft. We only found a handful of my daughters toys, as most of hers are stored over in the eaves of the side extension. 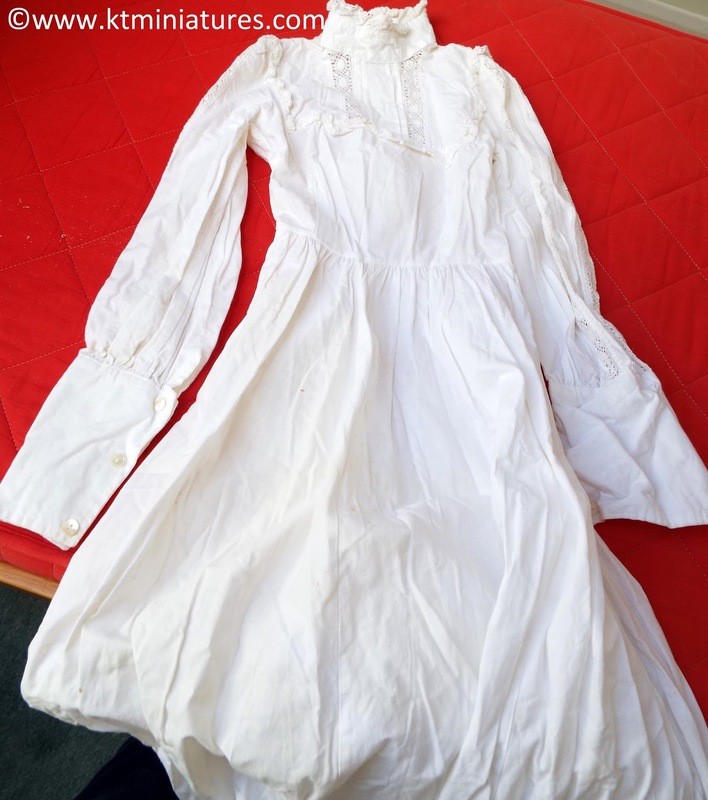 However other things that we found included my 1970s Laura Ashley wedding dress - unfortunately discoloured now as it appears that a suede jacket within the same suitcase had gone a little strange and affected everything around it. Silly me...I think the suede jacket was only put in there as a temporary measure during one of our house moves over 30 years ago, but somehow got forgotten about! 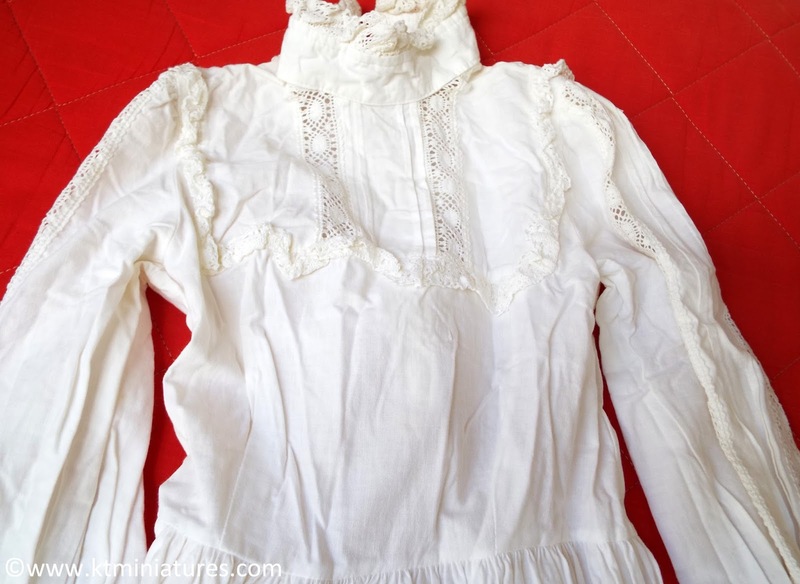 My goodness...I had a 24" waist and weighed just 8 1/2 stone when I got married! I couldn't even get this past my hips now. My children could not believe I could have ever been this small! 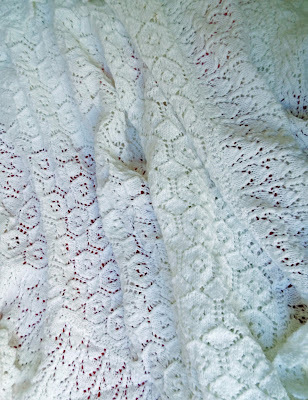 Amongst the old baby clothes and old cot, was this beautiful shawl given to me on the birth of my daughter from my lovely old next door neighbour (sadly no longer with us). We came across long forgotten love letters (both mine and hubby's) and the most gorgeous old school art books belonging to my mum from the 1930s. 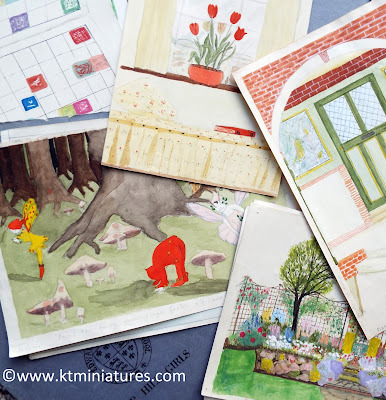 They are so beautiful that I am going to scan some of the images for family members and for myself, and print off on special watercolour art paper, as I don't think any of these would look quite the same on ordinary paper. I don't want to use the originals as I would be afraid that the colour might begin to fade. As these have been stored away for decades the colour has remained glorious. I also came across some of my own art homework done as a teenager which my children had never seen and I hadn't actually set eyes on for decades! Sadly they had been rolled up so are quite crinkled. Not quite in the same league as my mum's colourful artwork, but nevertheless it shows a little of my family social history, as I had drawn the kitchen of our Cotswold stone cemetery lodge house (built in the 1930s). The drawing shows an old maid saver cabinet which I remember well, an electric clothes airer and an old Belling electric cooker from the 1950s. Our back door was a solid wooden door about 6" thick and I can remember the key was big and heavy - not something that you could easily carry around in one's pocket. The picture on the right was the view out of our lounge back window. That same view now would be very different as Farmer Long's field on the other side of that hedge is now part of the cemetery grounds plus at the top of the hill is a new school and houses. I suspect the view of the old church tower would no longer be visible from that window. These would have been drawn in the early 1970s. 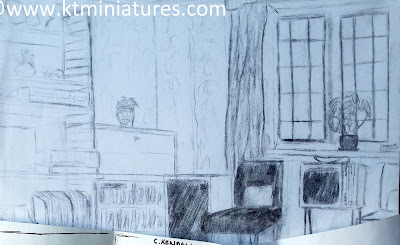 This was a charcoal picture of the corner of our lounge in the early 1970s. Because the charcoal has faded greatly it is difficult to see the detail, but there is a metal Ladderex shelf to the left with a record player and LP's underneath. The black leather chair is so very 1960s! Standing to the left of the chair was one of two huge speakers with a black mesh, for the record player. The television on legs is so very 1970s, don't you think? Those beautiful lead windows set in stone pillars are now long gone I understand. I loved those windows, they always seemed so magical somehow, but understand they were a pain to keep clean. 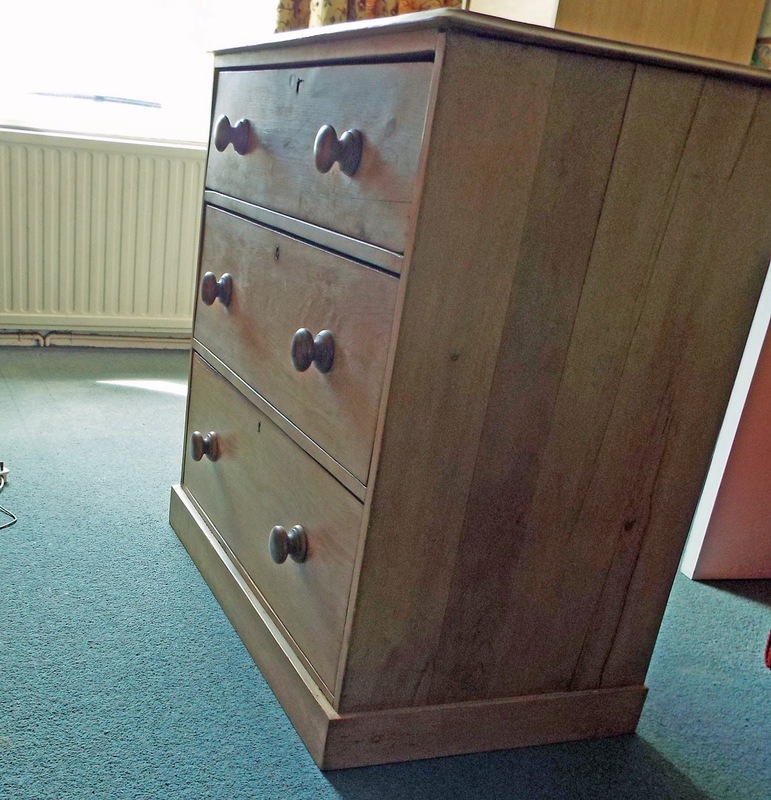 In the corner is a bureau/bookcase that my parents had when they first got married in the late 1940s. There has been much reminiscing and laughter I can tell you these past few days prompted by all the wonderful things we had found in the loft...plus some tears too. 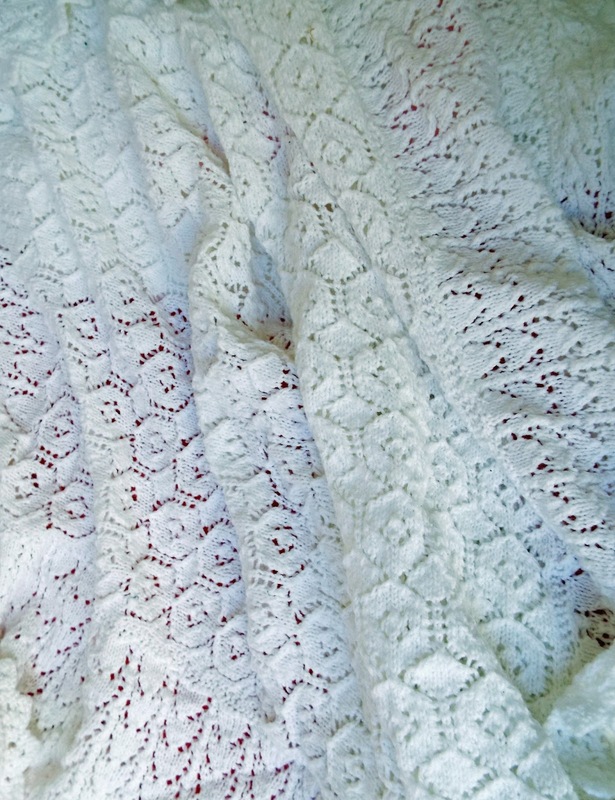 With two grandchildren on the way, plus my grown up daughter having moved back home, I am embarking on much decorating to several bedrooms ...I love decorating and probably just as well:). Hence the need for lots more space to store additional stuff up in the loft. 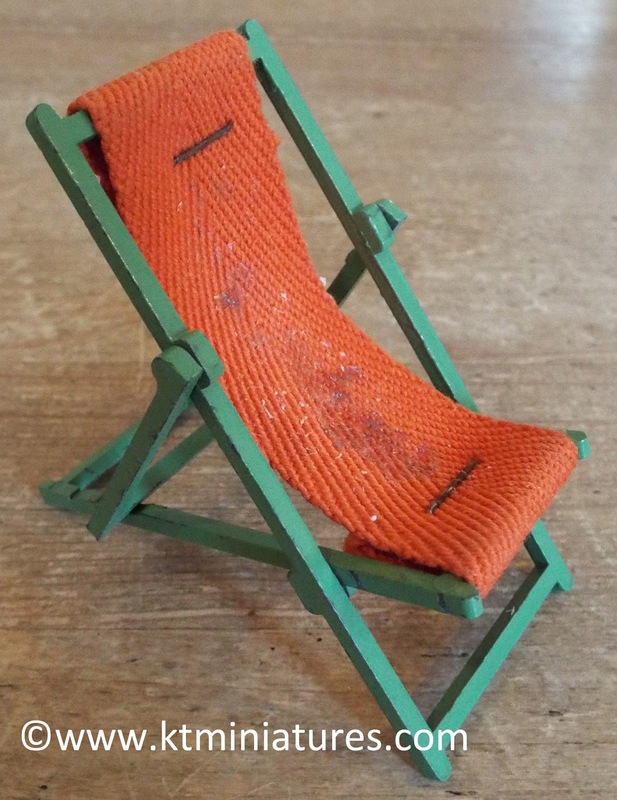 Also, as it is about nine months ago since Mr KT passed away, I felt it was definitely time to dismantle his two computers from his desk, pack his bits and pieces away and finally dump his old chair which was falling apart. After he died I remember someone saying to me that I will know when it is time to let go of his things. And it is true. Most of the items had gradually gone in one way or another over these past months but I just couldn't let go of his chair and contents of his desk....it was just as he had left it all those months ago and gave me some weird sense of comfort. But finally about a month ago I suddenly felt it was time that it was sorted out. I could suddenly begin to envisage that room very differently. 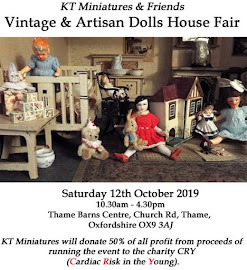 As I now have a dodgy right knee and no longer have Mr KT to help me carry big dolls houses or heavy stock up two flights of stairs to my loft workroom, things are having to change. Surprisingly am suddenly feeling very enthused at the thought of having a downstairs workroom...and all kinds of plans are now afoot. On my travels last weekend, whilst buying this old pine chest of drawers to contain my daughter's clothes (it is still sitting here in the middle of the room, next to my computer desk), I came across the most beautiful dresser from the 1920s from the same dealer and perfect for my new workroom....or "Studio" as an old friend suggested calling it the other day. I still need to measure and ponder a little more, but if I manage to get it I will show you it on here. Meanwhile, now that the Easter holiday break is over and all visiting relatives have now departed, it is time to knuckle back down to KT Miniatures. 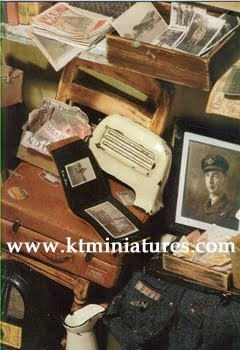 Listing of more old treasures will begin this week and I do have one or two old dolls houses to put up for sale too. 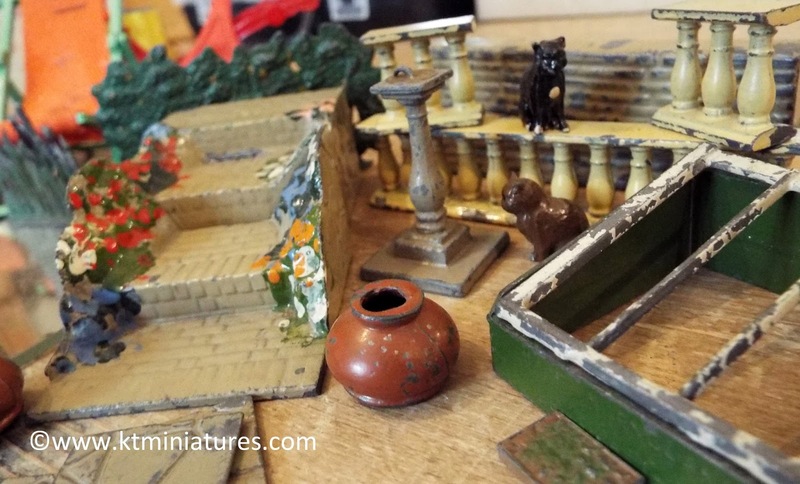 How About A Spot Of Miniature Gardening? With spring now well and truly upon us here in the UK, many of us are busy with our real life size gardens. 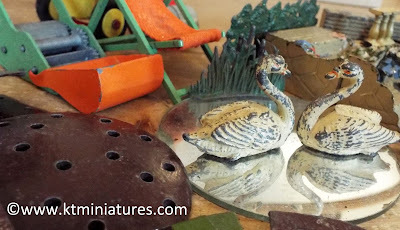 However today I have been very busy listing quite a varied selection of miniature Britains Lead Garden and other manufactured garden items to KT Miniatures website, for you to feast your eyes on. I do have an enormous box of Britains Floral Garden items too but they will have to wait for another day as I have run out of listing time for the moment. 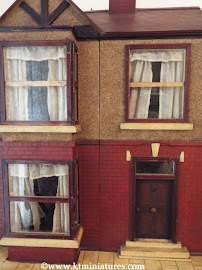 Maybe your old dolls house has a back yard or space in front or at the side to have a few plants or garden items? Or maybe you could start up a miniature garden on its own? Even if you are not interested in purchasing any of these, I hope you will still enjoy looking at them. I had the plastic Britains Floral Garden as a child during the 1960s, which followed on from the c1950s Britains Lead Garden items, and I still have every single item packed away in Cadburys Chocolate boxes and Moreland Matches matchboxes! 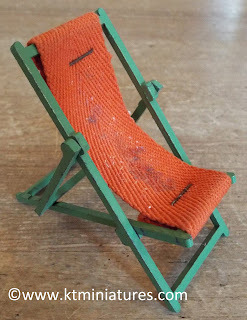 I was very organised as a child and looked after my toys, as in those days we didn't have much. 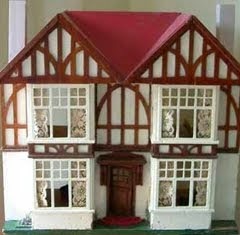 I used to design all kinds of garden layouts with my lovely childhood dolls house. Amongst some of the unusual pieces now up for sale is a round mirror pond with two c1950s J Hill & Co lead swans and freestanding reeds. But further to my original posting, it looks like they were not made by B&S, but simply distributed by them. So at the moment the maker remains unknown. However, someone has suggested that the company DCMT made these items...but I still cannot substantiate this. Anyhow, regardless of who made them, I think they are pretty magnificent. 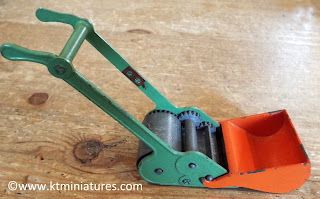 Meanwhile, the c1930s-1950s Britains Lead Garden Page has been greatly updated with many new additions as from today, plus I still have more to list. Included is a wonderfully aged old cold frame with seed box, round pots, cats, walls, flowers, flower beds, pergola and much more...even a garden gate with hedges!